More photos once detailed but, why wait for us come in today for a Ride & Drive appointment before others see it. Let our knowledgeable staff help you every step of the way. 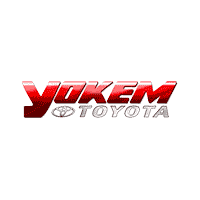 One Name, One Place, Yokem Toyota. We are #1 in Toyota New Car & Truck Sales in the Arklatex for a reason. Please visit http://www.YokemToyota.com for our listings or laugh at the comical tweets on http://www.twitter.com/YokemToyota. We keep it all up to date with http://www.YokemToyota.blogspot.com. Get deals and win free things at http://www.Facebook.com/YokemToyota. Lastly be sure to give us a review at http://g.co/maps/yt6ed. Thanks again from Yokem Toyota.